Wind will be at the centre of Europe’s power needs, meeting 50% of electricity demand by 2050, Robert Clover from MAKE Consulting said today. Moreover, “after 2020 wind is the cheapest technology, it is scaleable and it has minimal water requirements,” he added. 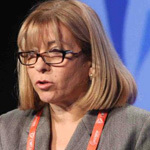 Speaking at EWEA’s 2013 Annual Event in Vienna, Clover said onshore wind will achieve parity with other electricity-generating technologies feeding into the grid in Europe by 2015, followed by offshore in 2022/2023. Clover’s opinion was backed by several high-level speakers at EWEA 2013 including Fatih Birol, Chief Economist at the International Energy Agency, who said that almost all onshore wind projects in Europe will be fully competitive with gas very soon. Clover added another element to the cost of energy debate by saying that if carbon capture and storage (CCS) technology is added to thermal generation, then costs could rise by up to another 50%. “Renewables are increasingly becoming a profitability issue for thermal generation,” he said. However, several other speakers at the Vienna-based conference warned of significant obstacles to the expansion of wind power. Jean-Philippe Roudil from RTE in France identified long and complex permitting procedures for both renewable projects and grid developments, and public acceptance issues dominated by ‘Not In My Back Yard’ attitudes as important hurdles to overcome. But Pat Rabbitte, Irish Energy Minister, said public acceptance can be achieved by a combination of the best possible engineering practices and communication. “Project developers must build in and communicate community gain considerations,” he said. Anni Podimata, Vice-President of the European Parliament pointed out the economic problems Europe is currently facing including stagnant economic expectations for 2013 and rising youth unemployment. “However despite the crisis renewables remain one of the most dynamic sectors in Europe,” she said. Like much of Europe’s economy, wind is experiencing difficulties, including wobbles in government support to the sector and a significant dip in bank lending to wind power. Tom Murley of HG Capital said that institutional investors like insurance companies and pension funds are increasing their investments in wind, countering the decline in bank lending, but the trend is not growing quick enough to stem the ebb of finance access the sector is currently experiencing. EWEA 2013 continues tomorrow with a focus on wind power’s emerging markets, including the launch of EWEA’s latest report on the opportunties Europe’s emerging markets hold.